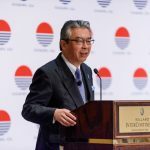 Sasakawa USA’s Fifth Annual Security Forum focused on ties between the United States and Japan in a time of many security challenges in Northeast Asia and globally. The day-long conference, held May 2, 2018 at the Willard InterContinental Hotel in Washington, DC, attracted nearly 300 attendees from the private sector, NGOs, academia, the media, and more. 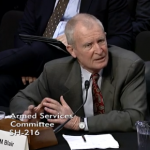 Admiral Dennis Blair, Chair of Sasakawa USA, testified before the U.S. Senate Armed Forces Committee on January 30. 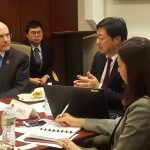 Blair was a witness for a hearing on the “Situation on the Korean Peninsula and U.S. Strategy in the Indo-Pacific Region.” Blair is a former Director of National Intelligence and previously served as Commander in Chief of the U.S. Pacific Command. 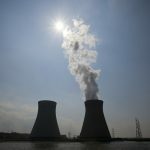 The Global America Business Institute, Sasakawa Peace Foundation USA, and Heritage Foundation will host a panel discussion, “Multinational Nuclear Supplier Partnerships within the OECD: Ensuring Relevance and Competitiveness in the Global Nuclear Power Market,” on October 10, 2018. The event will be held at the Heritage Center and will conclude with lunch. On January 9, Sasakawa USA hosted Dr. Ken Jimbo, Associate Professor at Keio University, and Sayuri Romei, Associate Fellow for Security and Foreign Affairs at Sasakawa USA, for a policy lunch discussion on “Asia’s Nuclear Challenge: North Korea, China and the Role of Extended Deterrence.” The discussion was moderated by Sasakawa USA CEO Ambassador James Zumwalt. 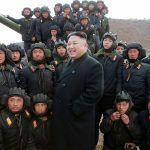 While recent rhetoric being flung back and forth between North Korea and the United States can be shocking when consumed domestically, the logistical requirements of actually heading to war are far from being met, Sasakawa USA Chairman Adm. Dennis Blair said in an article in The Atlantic published September 28.